Non-government groups working in Russia must aim at solving problems important for the whole nation, and those that do can count on assistance in part from the state, President Vladimir Putin has said. “When we mention NGOs that work in the politics, I hold that their activities must aim at solving national tasks. This can be, for example perfecting the political system, the courts, or the law enforcement systems. This definitely includes human rights activities,” the Russian leader said on Thursday when he spoke to a major forum leading Russian non-governmental groups. 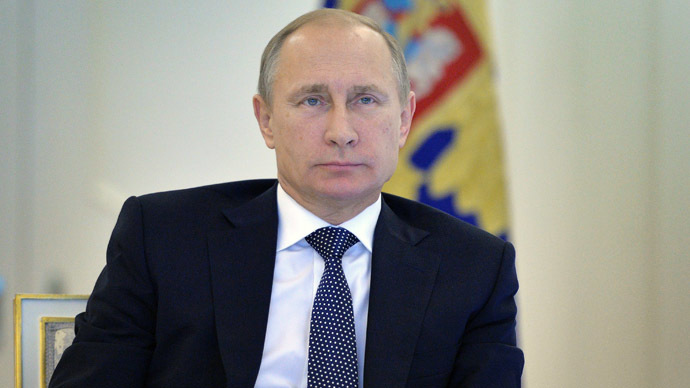 The NGOs should never be used for solving some limited problems of certain political parties, Putin noted. If such things happen they deprive the non-government organization of its very essence, he explained. The Russian president said the political struggle in the country, including the standoff between the authorities and the opposition, must be only part of the political platform and in the area of relations between political parties. Putin also acknowledged that the work of Russian NGOs was shifting from pure politics into the social sphere and that this was a normal process. “But this does not mean that the state would cease its support to political NGOs,” he added. “As a whole, the cooperation and the substantial partnership between the state and the non-profit groups are developing quite rapidly. The volume of state support for these organizations is also growing, the grant system is working,” Putin told the rights forum. The president said that since the beginning of 2012 the state support to NGOs has increased almost four times and reached 3700 billion rubles (about $58 million at the current rate). At the same time, Putin urged extreme caution in distributing state benefits to various groups because “as soon as someone gets any benefits, immediately appear others who have no relation to rights activities but they try to turn the situation to their personal benefit.” The situation can only be avoided through thorough analysis of all applications, he added.